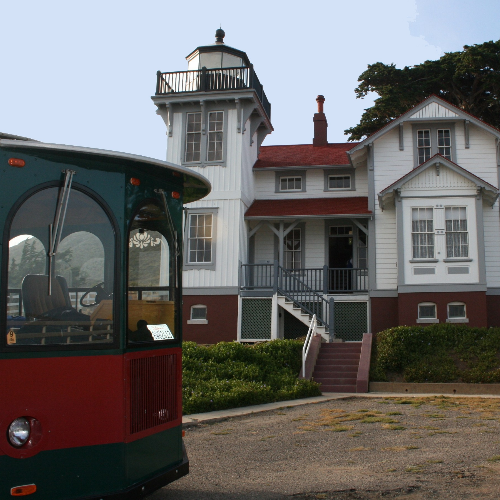 The Point San Luis Lighthouse is open for tours every Wednesday at noon and 1 pm and Saturday at noon, 1 pm, and 2 pm. Guests will be driven to the Lighthouse aboard a van. Docents will then lead guests on a one-hour walking tour of the historic site, the buildings, and up to the Lighthouse tower. Please arrive fifteen minutes before your tour time. The van will leave on the hour.